The Clay Buchholz injury watch has entered day number 39. What began as a day-to-day "I slept funny" injury has now dragged on through daily WebMD updates on neck, shoulder, AC joint, trapezius muscles and bursa sac updates. There have been X-rays, MRI's, and CAT scans. Is it time to call the witch doctor? He'll tell you what to do. Buchholz says he won't pitch again until he's 100% healthy. When is that exactly? The end of July? Perhaps August? September? Could it be 2014? No one seems to know. Buchholz, who hasn't pitched since June 8, threw a bullpen session Sunday in Oakland and reportedly felt soreness in his "neck and shoulder area". Plans for a rehab start in the minors this week have been scrapped. 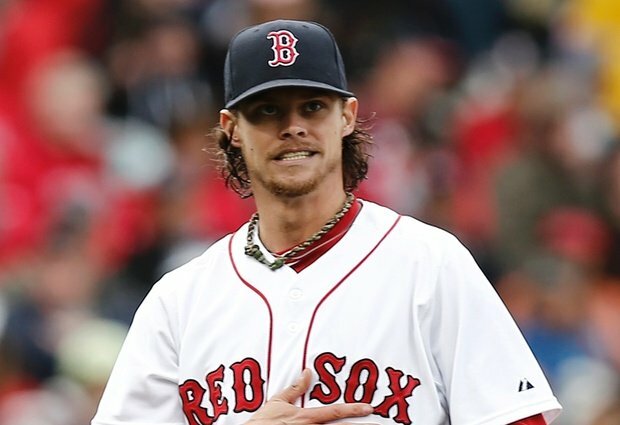 Buchholz, won’t throw another bullpen session until maybe, possibly, fingers crossed, Thursday. No one will argue that when Buchholz is healthy he is good. Very good. Before the injury Buchholz was 9-0 with a 1.71 ERA and was voted into Tuesday's nights All-Star game. But, you'd have to admit this guy is a little fragile. Buchholz has been hurt in some form or another in almost every one of his six seasons in the big leagues. He missed the final three and a half months of the 2011 season with a back injury. Last season, Buchholz missed time because of stomach and esophagus problems. With the Red Sox lead in the AL East at 2 1/2 games at the break and the Tampa Bay Rays recent surge (they have won 14 of 16 games) the frustration is approaching the ridiculous. Thoughts on Clay Buchholz? Comment below.